This townhomes complex is located at 3950 Erin Centre Blvd. in popular Mississauga's Churchill Meadows neighbourhood. These are condo townhouses with low affordable maintenance fee. They were built by a well known and respectable developer Daniels This "Picketfence” community is a perfect start up for young families with limited budget. These condo townhouses come in different models, with specious layouts, some as large as 2000 sq.ft. 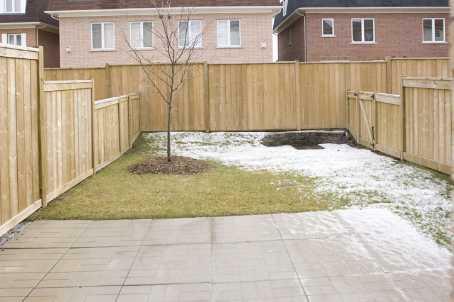 Some townhomes have large fully fenced backyard and finished basements. Larger models are 3 bedroom 3 washroom and smaller models are 3 bedroom 2 washroom. These condo townhouses feature open concept kitchen, white or stainless steel appliances; some upgraded modes offer granite counter tops, hardwood floor and more. Unique to this complex some townhomes have walk-out basements and are backing on the green space. Condo fees are low and they include building insurance, common elements and parking. 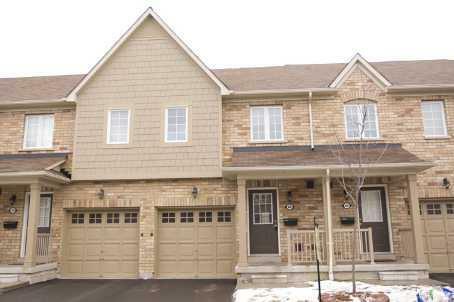 This Mississauga townhomes complex is located close to highway 403, 407, 401 and QEW. There are several schools in the area. The closet one is French Immersion Oscar Peterson Elementary School. There also golf courses, Credit Valley hospital and Erin Mills Towncentre. There are two more "Picketfences" condo townhouse complexes in the area on 3150 Erin Centre or 5255 Palmetto Place which feature units over 2000 sq.ft in size. If you are looking for less expensive newer townhomes in Mississauga you might consider Great Gulf Homes Beautiful Garden Villas Stacked Townhomes located on Eglinton Ave and Intrepid Drive.